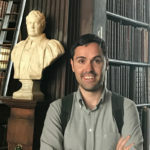 Simone Guidi (1984) is FCT Post-Doc Research Fellow at the University of Coimbra’s Instituto de Estudos Filosóficos (IEF). 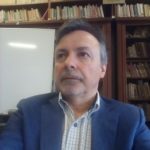 He is the managing editor of the international peer-reviewed WoS journal of Philosophy Lo Sguardo and an editor of Azimuth. Philosophical Coordinates Between Modern and Contemporary Age. In 2013 he received a Ph.D. in Philosophy from La Sapienza, University of Rome, dealing with the scholastic sources of Descartes’ dualism. Among his publications are L’angelo e la macchina. Sulla genesi della res cogitans cartesiana, FrancoAngeli, Milan 2018, and many essays and encyclopedia entries on Medieval, Early modern and Contemporary philosophy. Leonor Durão Barroso is a PhD Candidate in Political Science and International Relations at the Institute for Political Studies of the Catholic University of Portugal, and is now writing a Thesis on the political thought of the Jesuit theologian Francisco Suárez, under the title: Origin and Limits of Political Power in the Work of Father Francisco Suárez, S.J., with a Portuguese translation of the Principatus Politicus (Defensio Fidei III, I-IX). She has a BA in Classical Studies, specializing in the Translation of Classical Languages. 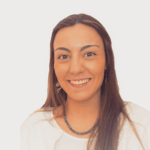 She is a freelance translator from and into modern languages. 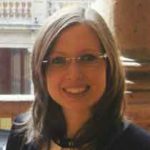 Her research covers a wide set of interests, such as Political Science, Philosophy, Theology, Religion studies and its present challenges regarding moral relativism, and, in the last few years, she has been focusing mainly on the Salamanca School. 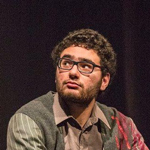 Giancarlo Colacicco is currently Ph.D. student in Philosophy at the Scuola Normale Superiore of Pisa. He is Doctor in Philosophical Sciences. He discussed a Masters degree in History of Metaphysics with the title Causa entis. Il problema della causa finale nelle Disputationes metaphysicae di Francisco Suárez, under the supervision of Costantino Esposito and Pasquale Porro. His current research is focused on the genesis of metaphysical causality within Francisco Suarez’s theological commentaries and Trinitarian ontology background. Cintia Faraco graduated in law at the University of Naples “Federico II” and got a Ph.D. in Philosophy of Social Sciences and Symbolic Communication (University of Insubria). 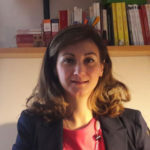 For some years she has been working in the scientific research team of Professor Vanda Fiorillo, Full Professor of Political Philosophy in the Department of Political Science at the University of Naples “Federico II”. Her area of research focuses on the Second Spanish Scholasticism, with a special interest in the philosophical-political and theological-political thinking of Francisco Suárez and Gabriel Vázquez. Her publications include: Obbligo politico e libertà nel pensiero di Francisco Suárez, FrancoAngeli, Milan, 2013; Francisco Suárez, Trattato dell’opera dei sei giorni. V. (Chapters I-II) -VII-VIII-IX-X-XI-XII), translated text, edited and revised by Cintia Faraco, Artetetra Edizioni, Capua, 2015; Between wisdom and political realism: machiavelisms by Francisco Suárez, in «RphZ. Rechtsphilosophie Zeitschrift für Grundlagen des Rechts, 3/2016; Suapte natura. L’intrinseca forma razionale della natura: Gabriel Vázquez, FrancoAngeli, Milan, 2017. Katja Krause is a historian of science and medicine, and a philosopher specializing in medieval thought and beyond. She received her Ph.D. in 2014 from King’s College London for her dissertation entitled Aquinas’ Philosophy of the Beatific Vision: A Textual Analysis of his Commentary on the Sentences in Light of its Greek, Arabic, and Latin Sources. After her doctorate, Krause was awarded a two-year Postdoctoral Fellowship at the Max Planck Institute for the History of Science, where she worked on a series of articles that examine the empirical turn of the thirteenth century that emerged from the appropriation of Averroes’ commentaries on the corpus Aristotelicum. In 2016/17 she served as Assistant Professor in Medieval Thought at Durham University, UK, and in 2017/18 was a Postdoctoral Fellow at Harvard Divinity School, supported by the Deutsche Akademie der Naturforscher Leopoldina – Nationale Akademie der Wissenschaften. Krause is currently Leader of the Max Planck Research Group “Experience in the Pre-Modern Sciences of Soul and Body, ca. 800-1650,” jointly with a professorship at the Technische Universität Berlin. She is currently working on a book project, which is concerned with the notion of experience in medieval and Renaissance sciences of the living world. Cristóvão S. Marinheiro graduated at the Johann-Wolfgang-Goethe Universität in Frankfurt and got a Ph.D. in History of Philosophy at the Université Paris IV-Sorbonne on Antonio Bernardi (1502-1565) in 2010. He was appointed Research associate (engenheiro técnico de investigação) at Coimbra University between 2004 and 2005, where he worked on the commentary on Physics by Manuel de Góis. 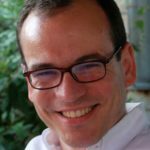 He was Junior researcher at the Université de Luxembourg between 2005 and 2009 and lecturer at the Universität des Saarlandes between 2009 and 2014. Since 2016 he works at the Bibliothèque nationale de Luxembourg in the Rare books and manuscript Department. He has published several articles on XVIth century Aristotelianism. Anna Tropia studied History of Philosophy in Pisa, Macerata and Paris. With three post-doctoral grants, in Paris (within the program “Research in Paris”) Berlin (“Alexander von Humboldt Stiftung”) and Gotha (Forschungsbibliothek), she carried out a research project on how the first Jesuit professors taught philosophy in the Parisian College, the “Collège de Clermont”, from its opening (1564) up to Descartes’ death (1650). More specifically, she dedicated herself to the edition of the first philosophical course dictated at the Parisian College, by the Spanish Prof. Juan Maldonado. 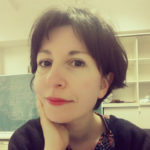 Since October 2018, she is a Senior Lecturer of Medieval Philosophy at the Charles University of Prague. 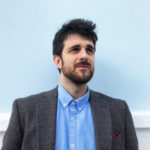 Daniel Marques is a graduating student of Philosophy, aiming to explore his fields of interest, related to the cognitive, phenomenological and aesthetical approach through its underlayment, which found a mean of anthropological expression both for sciences and artistic practice, especially literature.